Click here to see the slide show about our unique quality of life! 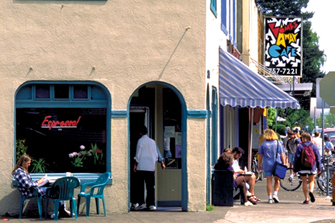 Corvallis is a beautiful college town nestled in the heart of the Willamette Valley. An hour’s drive of the Pacific Coast and two hours from the Cascades and high desert, Corvallis is an ideal site to live and work. Corvallis embodies the spirit of the Northwest, with beautiful natural surroundings, friendly citizens, and an outstanding quality of life. It is one of the safest places to live — clean, friendly, and family-oriented. Benton County is a vital regional center for higher education, industrial technology, engineering, research, commerce, and health care. And Corvallis is just 1½ hours south of the “Silicon Forest” in the Portland area. 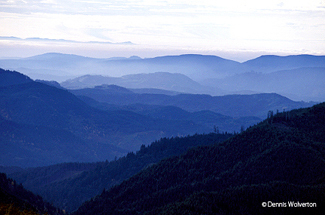 Corvallis residents know how to enjoy spectacular beauty and open spaces. Surrounded by forests, mountains, farmland, the Willamette River, meandering streams and the city’s greenbelt, recreational activities are endless. Benton County contains more than 50 parks and designated preserves, public and private recreational facilities, four golf courses, more than 60 miles of bike and running paths, and the state’s largest bike lane system. As a testament to this, SmartAsset named Corvallis the third-most fitness-friendly city for 2016. We’re not the only ones who think Corvallis is a great place to live. Corvallis was recently named the most secure small town in the U.S. by the Farmers Insurance Group. In 2008, Forbes ranked Corvallis number five in their list of America's Smartest Cities, and we were named the third best college town in the nation by the American Institute of Economic Research in 2014. The 500-acre Oregon State University campus is the state’s oldest institution of higher education and the center of much of the city’s activities. Activities on the park-like campus include theater productions, concerts, films, art exhibits, and college sports. Bookstores, restaurants, and other shops line the edge of campus. Sunset magazine named Corvallis one of their five favorite eco-friendly small towns, saying it is “beautiful, earnest, and very, very green.” Sunset also ranked Corvallis second on their list of the West’s best places to live and work. In 2016, College Magazine ranked Corvallis fourth in their top 10 college towns you’ll never want to leave. We’re a healthy group, too. 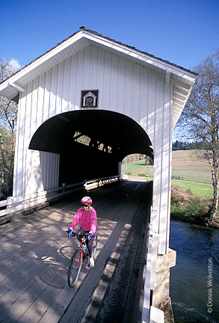 OSU’s focus on healthy living is reflected in 2011 recognition of Corvallis as having the largest percentage of individuals who bicycle to work in the nation and the second-largest percentage of people who walk to work. Corvallis is a great place for businesses, too. In 2013 Forbes Magazine ranked Corvallis the 11th best small place for business and careers, Entrepreneur Magazine says we're one of the top five cities for entrepreneurs, and in 2018 USA Today named Corvallis one of the 25 most innovative cities in the U.S.
Now that’s quality of life! Not conviced yet? Livability gives you 7 reasons to move to Corvallis right now. Corvallis has one of the mildest climates in the nation. Spring, fall, and summer temperatures range from the upper 50s to upper 80s, and mid-winter temperatures are typically in the 40s. OK, it rains here. But the average annual precipitation is 40 inches, lower than 32 other states. And sleet or snow of more than one inch happens an average of one day a year or less. The summers are unbeatable!